New markets, a bunch of fires and a whole lot of hot dogs. 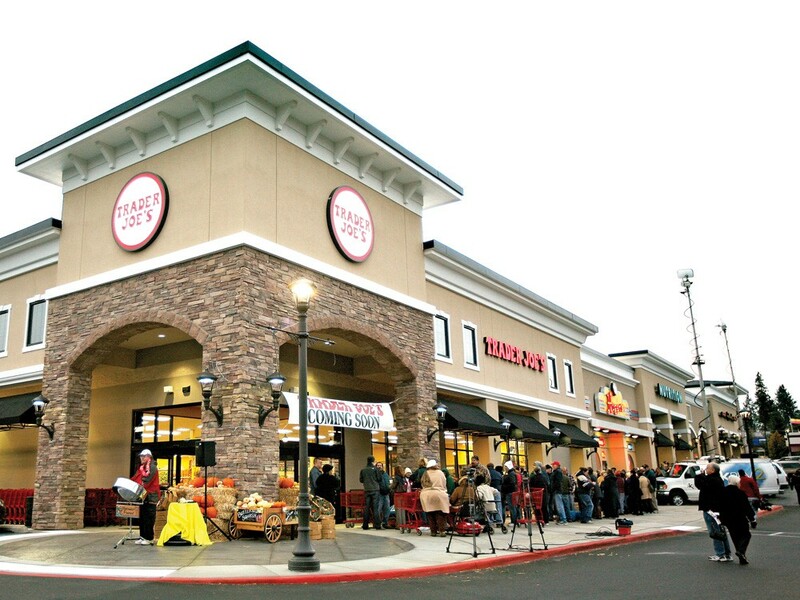 The rumor, innuendo and speculation surrounding Trader Joe’s coming to the Inland Northwest once had thousands of people flocking to the Internet (where such public displays of unrequited consumerism usually pop up) to sign petitions and like Facebook pages dedicated to getting the California-based specialty grocer in town. For years it was rumored, and for years we were left wanting. This year, the Inland Northwest was infected with an epidemic of businesses specializing in hot dogs. It has been awesome. From a man who grew up in the Disneyland of hot dogs, Chicago, we got Big Red’s — one of the newer hot dog trucks. Owned and operated by Curtis Bytnar, who is a former chef from the Davenport, Big Red’s upped the hot dog stakes by offering customers authentic East Coast cuisine. The idea had been percolating in the minds of community-minded folks for a while — an open space where local farmers, vendors and artisans could sell their products year-round directly to customers. This summer, that dream finally came to fruition with the opening of the Spokane Public Market. Located on Second Avenue downtown, the market has really taken off, says Steve Trabun, vice president of its board. What was initially a small group of vendors has grown to nearly 50, who specialize in everything from homemade soaps to fresh vegetables and seafood. Washington state’s control of liquor sales ended in November with the approval of Proposition 1183 at the ballot box. Financed primarily by big-box retailers like Costco, Safeway and Trader Joe’s, the new law shuts down state-controlled stores and shifts the sale of spirits to privately owned stores. But since those stores must have over 10,000 square feet of retail space, it’s unclear whether massive corporate stewards will sell local and regional goods. Don Poffenroth, co-owner of Dry Fly Distillery in Spokane, says he does not yet know if the new law will affect the distribution of his company’s liquor. In 2011, Cyrus O’Leary’s closed after three decades, and Geno’s Italian dished up its last pizza after nearly 50 years. Add Niko’s, David’s Pizza (temporarily), Isabella’s, Vin Rouge and Marie Callendar’s to the list of restaurants that went belly-up this year. It’s enough to make us weep. To add to the gloom and doom, some of our favorite places were hit by fires this year. Ferguson’s Café was destroyed and the iconic Milk Bottle heavily damaged in September. “We had a lot of donations and people sharing stories. It’s been so tragic — this really helps,” says owner Kris Ritchie who hopes to re-open the Milk Bottle by April. The news this year on the Northwest booze beat has been effervescent. Spokane’s Northern Lights Brewing is still shining, while Golden Hills Brewing released an unusual India Pale Lager, which is light and still hoppy. In North Idaho, Laughing Dog expanded, released the killer coffee beer Annubis and partnered with Post Falls’ Selkirk Abbey, which will offer Belgian beers in 2012. Also new: Bi-Plane Brewing in Post Falls, Kootenai River Brewing Company in Bonners Ferry, and North Idaho Mountain Brewing in Wallace. In Spokane, Budge Brothers converted their home-based hobby into a modest taproom on Riverside Avenue. “We’ve probably seen 15-20 percent increased interest in home-brewing this year,” says M’Liss Knight, whose husband, Levi, and his uncle, Aaron Knight, own Coeur d’Alene’s Make Wine Make Beer. 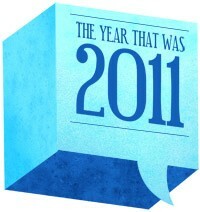 2011 has given us not only a plethora of new taco trucks but also a gourmet grill cheese stand, garlic shack, Philly trailer and more hot dog carts than you can shake a stick at. No longer reserved to exclusively serving tacos or only frequenting the county fair, food trucks and carts have proliferated and spread dramatically in the last year. It’s no wonder: Portland has shown that carts are able to thrive in just about any area, whether in the downtown grid during bar rush or at a construction site during the lunch hour. Spokane has welcomed this trend with open arms, as well. The new Spokane Public Market designed a space for trucks to park right outside an oversized garage area. North Freya now boasts an outdoor food court. Even Diamond Parking has leased spaces out to carts, allowing them to occupy the heart of downtown. God bless Ron Paul. The offbeat presidential candidate and Republican representative from Texas introduced a bill into Congress this summer that would legalize the sale of unpasteurized milk across state borders. Twenty states prohibit the sale of raw milk outright, according to the U.S. Food and Drug Administration. The 30 other states — including Washington and Idaho — fiercely regulate sales. The FDA cautions against raw milk because it can carry bacteria like salmonella, E. coli and listeria. But raw milk’s backers, like Luana and Wilbur Hiebert from Heritage Farms near Cocolalla, Idaho, say the product is healthy and safe.